The General Data Protection Regulation (GDPR) comes into effect on May 25th and significantly strengthens our rights to how our data is stored and used. All companies will have to take action to protect any personal data they hold on their employees or customers. In terms of the effect GDPR will have on marketing, especially Bulk Text Marketing, we believe GDPR will be very beneficial to companies who implement the correct procedures for their permission-based marketing. Before we start a very important point. Your current opted-in marketing lists are valid. i.e. if you have already gotten consent and sent marketing messages to your opted-in customers you can continue to do so. You need to give them an option to opt-out at any time. Text Sendmode to 51444 to join our texting club and get exclusive offers, promotions, and events throughout 2018. Normal texting costs apply. If the above was added to your posters, flyers and in-store branding, consumers can elect to send a text to 51444 and join your customer lists. It is their choice to do so and therefore they have opted in and it is fully GDPR compliant. Note: There is now an audit trail in your Sendmode account of when the customer opted-in. This covers you for GDPR. If you have a Contact Us form on your website, you can ask permission to send information to the number of the email address provided. Below is an example of a non-compliant and compliant website Contact Us form. Sendmode has a plug-in where you can send this information directly into your Bulk Text marketing account and added to your Opt-In marketing lists. Our developers can work directly with your website developers to implement this. Very straightforward to implements. Note: By using our plug-in Sendmode has an audit trail of your customers opt-in. This along with storing in your own database will cover you for GDPR Compliance. The old-fashioned way is still used very successfully by many businesses. Simply ask your customer at the point of sale if they wish to join your marketing lists for exclusive offers, promotions, etc. A simple form with name, email and mobile will suffice. However, you must inform them that they will receive communications from your company in the future, letting them know what their personal information will be used for. When you are importing this list into your Sendmode account, there will be checks to ensure you are GDPR compliant. You will need to keep a copy of the original consent and Sendmode will also have a timestamp of when the customer’s information was uploaded. Finally, you must ensure that there are easy to use opt-out mechanism. Sendmode has a website specifically designed to allow your customers to simply enter their mobile and remove themselves from any customers’ lists. 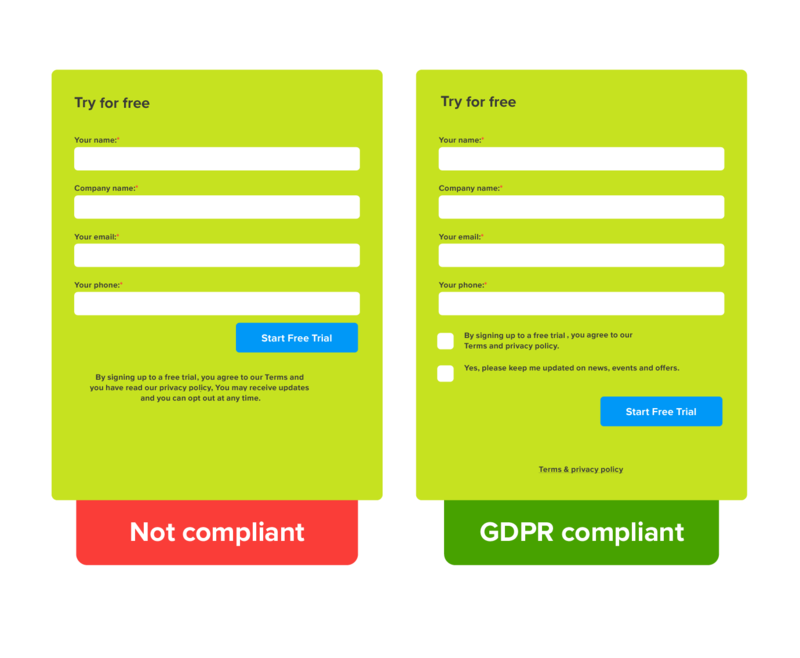 Simple, free and GDPR compliant.